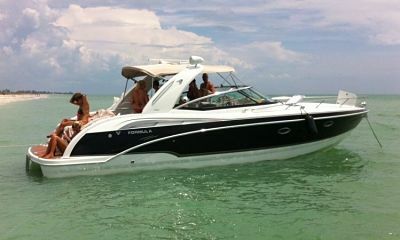 Southwest Florida is a prime location for a boating trip, with its beautiful blue waters and wonderful weather. Florida is the boating capital of the United States and it has more registered boats than any other state in the US. The Sunshine State is almost entirely surrounded by water, making it the ideal spot for avid boaters. If you are planning a boating trip to Southwest Florida, there are plenty of destinations to tickle your fancy in the area. Here are the top 10 boating destinations in Southwest Florida — you are sure to find one that suits your needs. Sarasota Boat Rentals: Sarasota is the perfect city to mix culture and history. 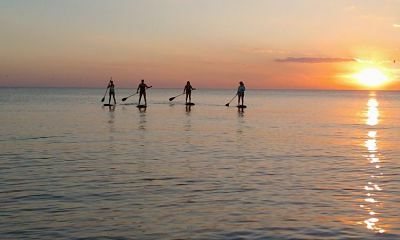 Lying some 30 nautical miles south of St. Petersburg, Sarasota has a wide range of outdoor activities for the adventurous traveler. The city can be explored by hiking, or in a canoe or kayak. When you tire of the outdoor life, the city’s many museums, restaurants and shops will be ready to entertain you. 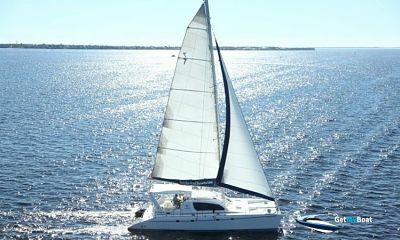 Fort Myers Boat Rentals: Lying 80 nautical miles south of Sarasota, Fort Myers is a family friendly spot for a boating holiday. Dolphin watching is a popular pastime in the region. With its shallow water, the beach at Fort Myers is one of the safest in the area and a perfect spot for families to enjoy. Naples Boat Rentals: Known as the “crown jewel” of Southwest Florida, Naples is a key destination for any boater who wants to experience the rich culture that Florida has to offer. The untamed Everglades wilderness houses many exotic species of wildlife in its marshes. For a more controlled wild experience, the Naples Zoo offers shows such as Alligator Bay, where trainers can be seen hand-feeding the reptiles. Key West Boat Rentals: The Florida Keys are the most southerly landmass in the Sunshine State. One of the most popular islands is Key West, a world famous hotspot for boating trips. This tropical paradise offers biking, snorkeling, swimming, and much more. The other Florida Keys islands, which lie nearby, offer spectacular coral reefs, shipwrecks, and ideal fishing grounds. Cape Coral Boat Rentals: Cape Coral offers an ideal location for fishing and nature spotting, and is rich in coastal birds and wildlife species. The sandy beaches and crystal-clear waters of the nearby outer Barrier Islands are an ideal spot for a little swimming or snorkeling. Keep an eye open for the Sanibel Lighthouse on the east of Sanibel Island, which was constructed in 1884. Cape Sable: Cape Sable is the most southerly tip of land in the mainland United States. If you are feeling adventurous, take a canoe and paddle around the peninsula to explore the mangroves of the Everglades at first hand. The unspoiled landscape and sandy beaches make for a welcome retreat for the weary traveler. Charlotte Harbor Boat Rentals: The protected waters in the Charlotte Harbor area are a dream for boaters. If you want to soak up the culture of the region, the Charlotte County Historical Center houses a vast collection of artifacts from seafarers down through the ages. If you are looking for some fertile fishing grounds, you can find freshwater and saltwater catches along the confluence of the Peace River and the Myakka River. Dry Tortugas National Park: Around 70 miles west of Key West lies the Dry Tortugas National Park. The park is accessible only by seaplane, or private boat and charter boat. The park is famous as the site of Fort Jefferson, as well as for its clear, blue waters, coral reefs, and vast array of marine and bird life. Big Hickory Island: Big Hickory Island makes an ideal stopping point for boaters. The picturesque island is unspoiled and beautiful, with beaches covered in shells and driftwood. Located nearby is Little Hickory Island, which is also known as Bonita Beach. Keewaydin Island: Lying near the “crown jewel” of Naples, Keewaydin Island makes for a hidden gem of a destination. The interesting terrain of Keewaydin Island features everything from cacti to mangroves, and the island is home to loggerhead turtles and a wide array of birds. It also features miles of white, sandy beaches, and a nearby wildlife reserve called Rookery Bay.